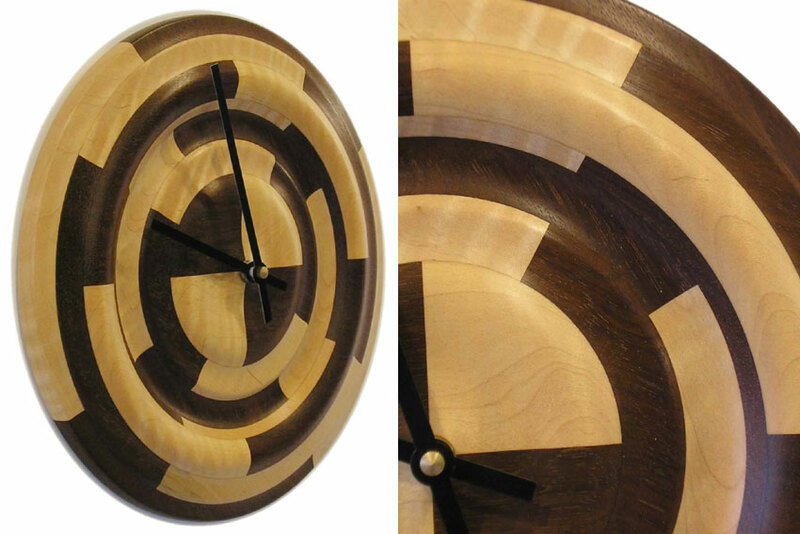 This clock is made from birdseye maple and walnut. In fact very clever in design concept too, as each hour sector is defined by the design on the face so you can easily tell the time. Clock is approximately 30cm diameter (12.25"). The craftsmanship is exceptional, and this is totally handmade and finished including lathe turning, sanding, wax buffing and polishing. For the price of the clock, a lot of great skill and hard work has been applied which we know you will appreciate as they are not mass produced by a machine. 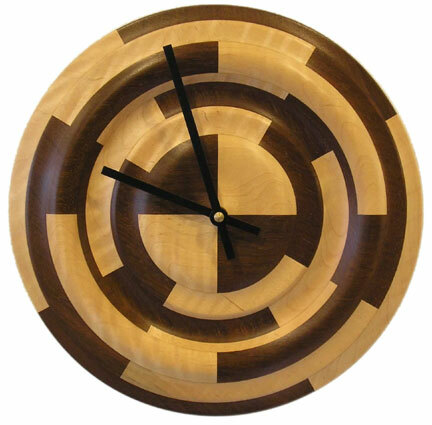 No two clocks are identical so colours may vary very slightly as it is natural wood. Requires one AA battery (not included).